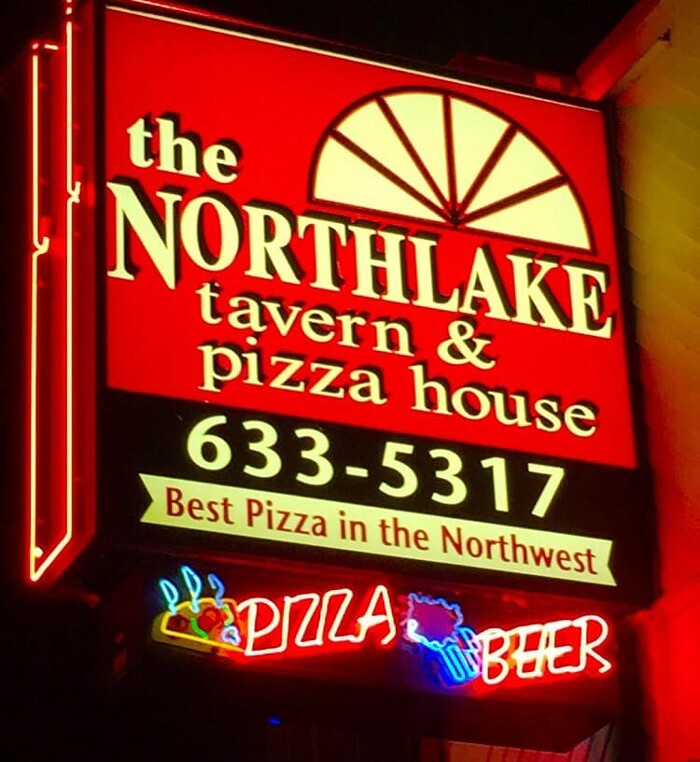 The Northlake Tavern and Pizza House opened in 1954 to a hungry crowd of workers in the boating industry, and is still open and thriving to this day--only a mere block away from its original location. The inside is all reds and whites, and the walls are covered in pizza-related cartoons by local Pulitzer Prize-winning cartoonist David Horsey. Patrons can order a pie from the menu or can choose to build their own, and beer is available on draft as well as bottles and growlers to go. It's a friendly, welcoming place--and apparently, some of the staff grew up with the owners at Voula's next door. Happy Hour Mon-Fri 2-6 pm ($1.50 off all drafts except Guiness and Stella).